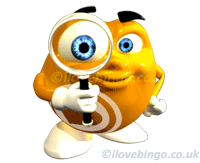 DeepSea Bingo website is a good looking website with vibrant and bright colours. It has been well designed and is user firendly. Powered and operated by the ever reliable Dragonfish/ Cassava software, players will be in safe hands as far as security is concerned; the operator is licensed in the UK and heavily regulated. Registering, depositing and withdrawing are straight foward and user friendly. 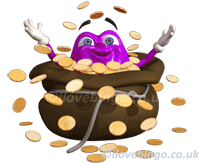 New players get spoiled at treasure bingo with 500% free bingo bonus on their first £5 to £10 deposit (deposit £10 play with £50), 150% cashback bonus on their 2nd deposit (type code: Newbie), 100% on their third deposit (type code Third) and 50% on all other deposits. 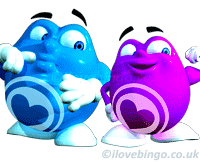 Deepsea Bingo run 3 to 4 variants comprising of 90Ball, 75Ball, Speed Ball and Hi five. 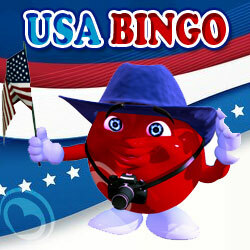 Being part of such a large network (dragonfish), this bingo brand benefits from an ample bundle of promotions. As part of Dragonfish/ Cassava NetworkDeep Sea Bingo boost an impressive range of games with 167 slots, 27 Scratch cards and Instant games (including Keno), 30 Branded games (monopoly, deal or no deal etc. ), and 17 classic casino games. 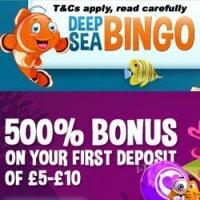 Deep Sea Bingo can be played on desktop computers and laptop as well as on most smartphone’s and tablets (subject to downloading the app).